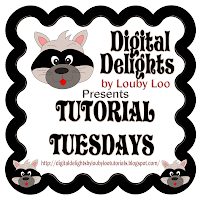 It's our second Tutorial Tuesday at Digital Delights. Dawn has a fabulous card and some tips on sizing, duplicating & printing your digi images in Microsoft Word. Also, there is only 1 more day left to get your entries in for Delightful Sketches #8. 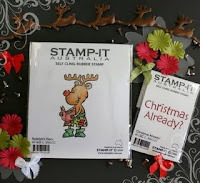 You could win some gorgeous Christmas stamps from Stampin Stuff in Australia. Lastly, Digital Delights is sponsoring the challenge over at Everybody-Art, so you have a chance of winning a $10 gift voucher to purchase some images from Digital Delights, but only if you enter. the challenge is shapes or punches.